There is this running theme found in every work of creation – literature, poetry, and movies: the life you see before you is all there is. Ralph Waldo Emerson said, “Life is a journey, not a destination.” While a beautiful thought with a thread of truth worth contemplating, there IS a destination. For those who see their need for Jesus – to heal their hurts, to wash their stains, and assuage the pain they have inflicted on others – this destination is heaven. A place of beauty, perfection, and eternal life beyond anything we can imagine, and filled with the glory of God. Yes, we can learn as we live our individual journeys. We should always be praying that we remain teachable, see the beauty breaking forth from each day, and have eyes to see what God is revealing here and now. Yes, we should enjoy the journey on the way to where we are going. But for the Christian, the journey is always pointing toward and longing for the destination: home. I love the hope found in the story of Ruth. It’s the story of a woman that many can relate to, because her journey was hard. A dead husband, no children, a bitter mother-in-law, and she is moving to a culture foreign to all she has known. Yet, she faithfully places her life into the hands of the God of the Israelites, and continues to walk even when her knees are buckling from the weight of the world. It is on this labored trek of endurance that she meets her redeemer (Boaz) a foreshadow of our own (Jesus <3). This poem was inspired by my interaction with God as I processed Ruth’s story. You invite me on a journey immersed in chesed* . A woman burdened by bitterness, longing, and dread. 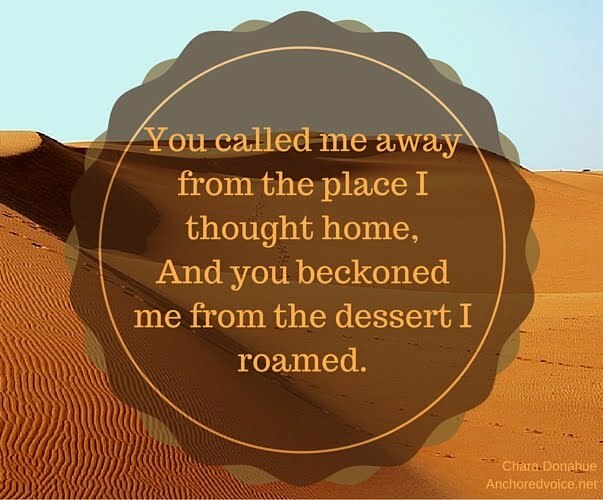 And you beckoned me from the dessert I roamed. Seems too good to be true, but I draw in a breath. I weep forward, my clothes of mourning find death. Here you cleanse me, and draw me to your table of grace. I am willing to be willing, please show me your face. My redeemer , true comfort, I find under your wing. Where you go I go, and your redemption you bring. A great love story you offer, and here I will stay. The birth of hope makes up my eternal bouquet. That has been rescued from hell, rescued from strife. But the conclusion is perfect when you’re Jesus’ bride. YES, this journey is hard and it is good… but the destination… oh ladies, the destination is better. IT IS BETTER, no question. Heaven awaits, but let us live our lives so that when we get there we hear our Jesus say, “Well done, good and faithful servant.” Let’s live well women, let’s live for our Jesus. Let’s risk loving, risk stepping out in faith, risk having the courage to hope, and may the source of our hope be anchored. *Chesed : To show kindness or chesed is to act in a loyal, loving way to a person. This is true of kindness in human relationships and of the kindness God shows us. For a little dreaming about what her story may have looked like in a different time and place, check out Here Burns My Candle by Liz Curtis Higgs. Hope. For some, you might be unmoved by the word hope. You think of it as theologically soft, or see it as a foolish ideology. Hope isn't frilly, passive, or weak, but it is fierce, active, and central to everything Christians believe. Ladies, do you know that Christianity doesn't exist simply to make you moral and supernaturally efficient? What is truly offered is a relationship with Jesus that exposes your mess, makes you truly beautiful, and ignites a FIRE within you. God created you for something beautiful and specific. Find the hope that doesn’t focus on what you are not, but is willing to dream about what God might make of you if you trust Him. Hope sings to the numb places within us. It beckons to parts of us we long ago locked away, shut out, and hid from - to awaken. We have felt hope, built dreams upon it, and experienced it in both great joy, and deep despair. When we interact with the Bible, the word of God, we find hope in its purest form. We find that HOPE is a person, and that person is Jesus – our High Priest and King. Sometimes when people are looking for life, they tinker around with the idea of hope and they determine the risk to be too high. The potential consequences seem not like hints of life, but diseased shadows. A lie from the pit of hell that sends the message that hope is deadly. We have felt the truth of what Proverbs 13:12 says, that “Hope deferred makes the heart sick.” Some of us have promised ourselves never to be hurt “like that” again. Yet by forsaking hope, we lose out on witnessing the second half of that verse: “but a desire fulfilled is a tree of life." If you make a vow to protect yourself from pain, pain may be all that you can see. The heart feels sick so we turn. We search out lesser lovers for our souls to worship and find ourselves tired…withered…lifeless. 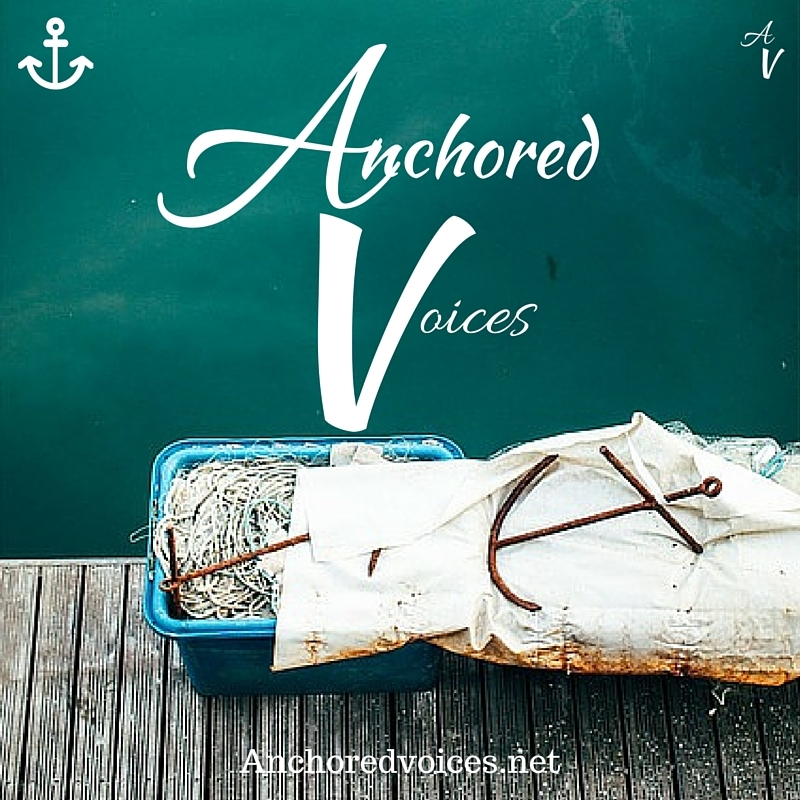 We take our eyes off of Jesus and gaze at unanchored hopes. 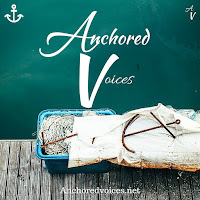 Tempted to tie ourselves to relationships, careers, children, addictions, or ministry, we float through our days feeling alone, lost, and abandoned. So how do you anchor yourself to the truest hope of Christ? How can you offer others life? What can you do to point others at the anchor that cannot, and will not, be moved by the flightiness of temporal things? We want to hear from you: to hear the voices of other women; to hear how God helped you through a struggle; breathed life through His Word; and helps you today as you walk through daily life. Young, old, out in the workforce, at home with kids, single, or married, every age and stage of life is welcome to the table. What has our Jesus given you to say? Your message may be the help that lightens the load of others who are fighting off chains, weights, and shackles of worry, despair, and sorrow. If you have a blog post, poem, artwork, a picture, etc. which can point us all to the Lord who anchors the soul, please consider sharing it here, so that we may encourage each other’s hearts. Send your submissions to livingisaiah61@gmail.com We may not be able to post all submissions, but please be brave – and share with us what Christ has done in your life - so that more would be helped by finding hope in Him. Thank you for visiting us. We are glad you are here.